Tiki culture is a mid-20th-century theme used in Polynesian-style restaurants and clubs originally in the United States and then, to a lesser degree, around the world. Although inspired in part by Tiki carvings and mythology, the connection is loose and stylistic, being an American form and not a Polynesian fine art form. Soon came integration of the idea into music by artists like Les Baxter, Arthur Lyman, and Martin Denny, who blended the Tiki idea through jazz music augmented with Polynesian, Asian and Latin instruments and "tropical" themes creating the Exotica genre. This music blended the elements of Afro-Cuban rhythms, unusual instrumentations, environmental sounds, and lush romantic themes from Hollywood movies, topped off with evocative titles like "Jaguar God", into a cultural hybrid native to nowhere. 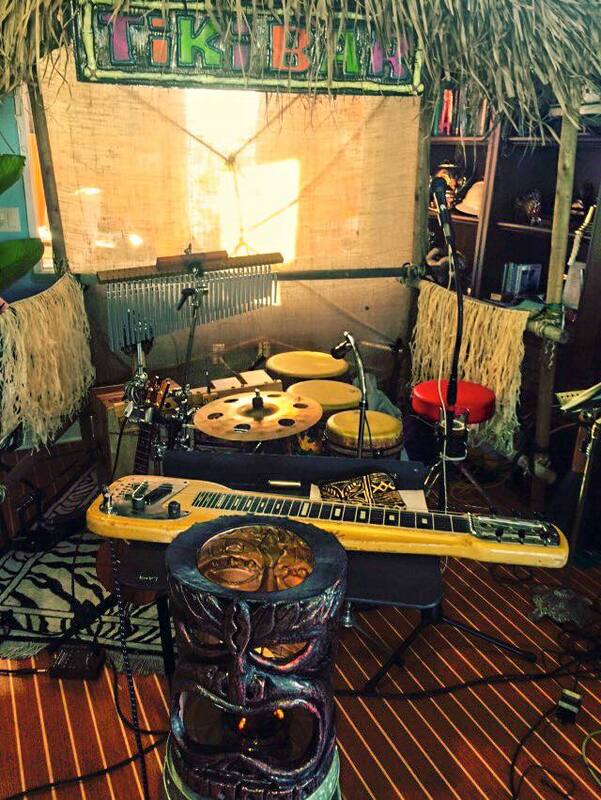 Ron-Kon-Tiki blends the vintage exotica and jungle sounds with upbeat music and Hawaiian instruments like the ukelele and steel guitar, creating a sound that is one part relaxing waves, one part boiling volcano, and 100% fun! Our music can be tailored to a variety of venues and events.